Having visited Ubud four times, there’s one thing I can guarantee – if you like good food, then you’re going to love dining in Ubud! An artistic yogi town, with eco-luxe hotels that overlook the jungle and a place to find peace and serenity amongst the rice terraces, Ubud also offers some of the best dining experiences in Bali. 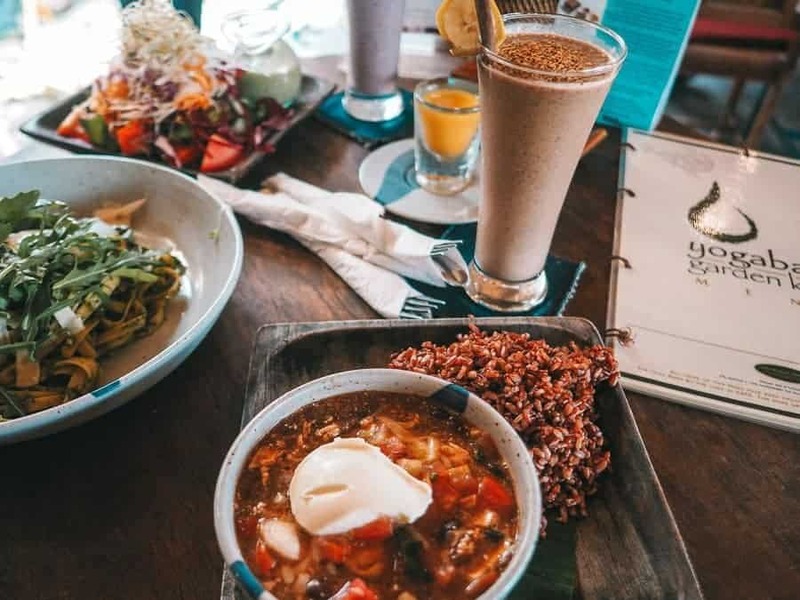 From healthy vegan food to top-rated fine-dining establishments, the Ubud restaurants scene has something for everyone. Here’s our top pick of the BEST foodie hotspots that Ubud has to offer! We absolutely love all the cafes and restaurants in Ubud. It was tough to narrow down this list, but of all the places we’ve tried over the years, here are our top places to eat in Ubud, Bali. 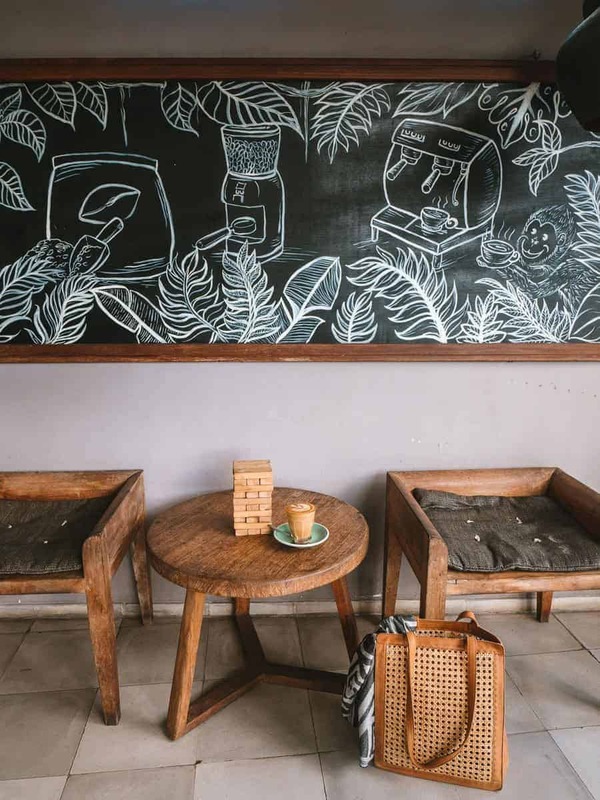 This little hole-in-the-wall café is our favourite coffee spot in Ubud. The baristas serve up a delicious brew with a dose of good personality. They have a cute sitting area on top of the espresso bar. A great place for people watching while sipping your coffee. Watercress Café is a great all-rounder. They do excellent coffee, breakfast, lunch and dinner. And their cocktails are pretty good too. In our opinion, they serve the best breakfast in Ubud, and indeed most of Bali. 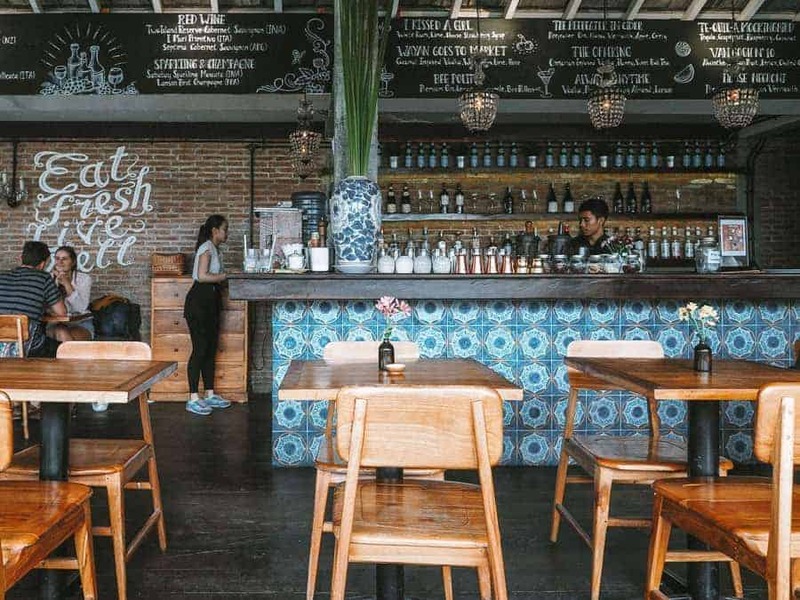 Owned by a couple of Aussie blokes who saw an opportunity for cafés in Bali serving delicious, distinctly Australian-style food (after-all, Bali is practically a second home for many Australians). They also provide employment for a number of local Balinese people who are clearly very passionate about their job and provide excellent service. Our favourite café for a healthy meal. The Garden Kafe is located at the iconic Yoga Barn. 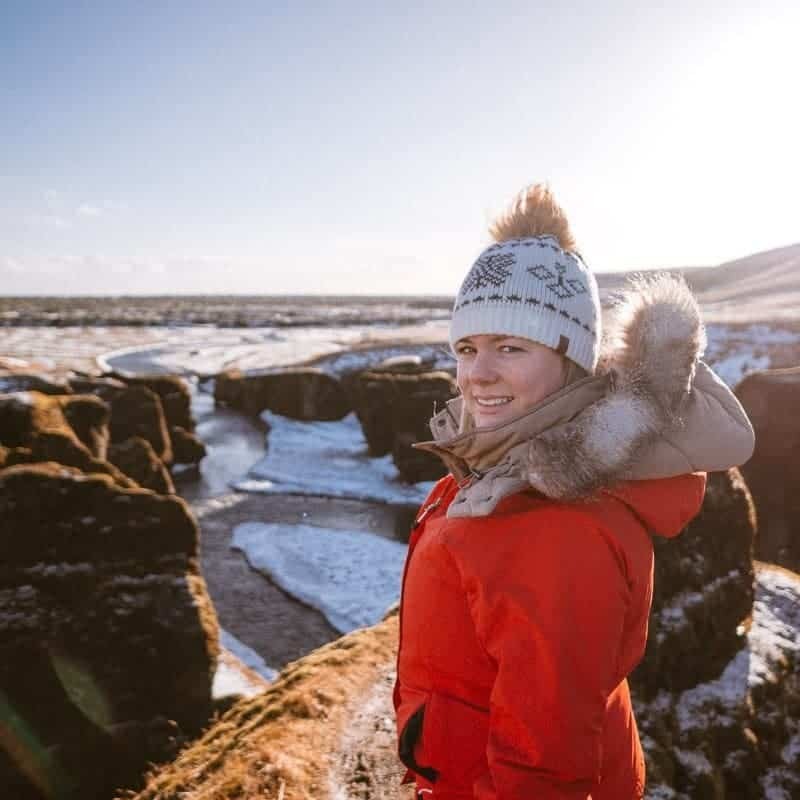 An excellent place for a bite to eat after a relaxing yoga class. Even if you’re not keen on yoga, come and hang with local yogis and visiting nomads and feast on delicious, healthy salads, smoothies, burritos, raw treats and Ayurvedic foods. Garden Kafe is vegan and vegetarian-friendly, with meat options available also. DUMBO is a newly opened restaurant that we quite literally stumbled upon. And I’m so glad we did. It was hands-down one of the best restaurants we ate at in Bali. With stunning architectural design, great music, a striking feature wood-fired pizza oven and swanky cocktail bar, DUMBO offer fabulous vegetarian Italian food in a stylish setting. They even donate a percentage of their profits to orangutan preservation. I cannot wait to go back. Uma Cucina is another excellent Italian restaurant, located in the beautiful Como Uma Ubud luxury resort, which we loved so much, we stayed three times! 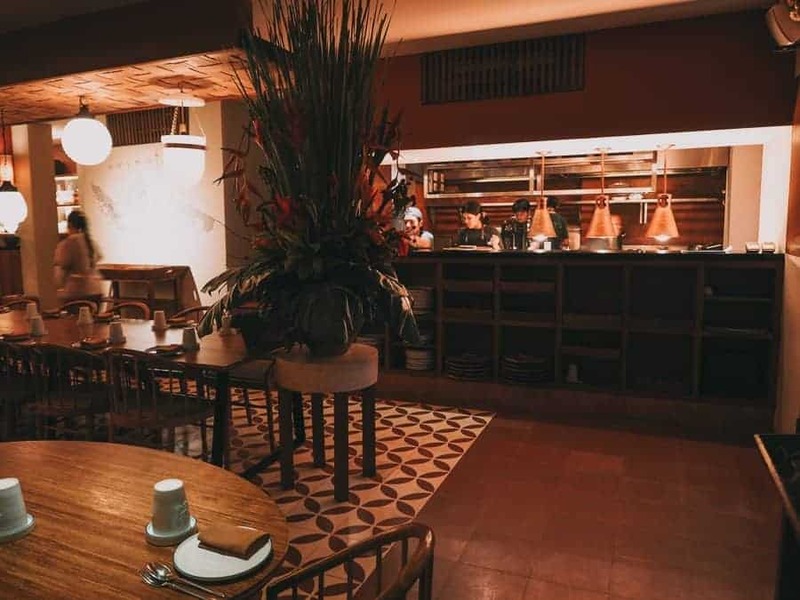 There’s a reason why Uma Cucina is considered by many expats as one of Ubud’s best restaurants, the service is impeccable. We’ve eaten there three times in two years, and the staff remembered our name every time! The food is also divine, and they have a good selection of Italian wines on offer. One of the most popular coffee spots in town, Seniman Coffee opened many years ago as a humble little roastery, but now spans across three buildings and exports all over the world. Have your coffee brewed several different ways, and the food is good too. Located just around the corner from Ubud Market. Another great little café using ethically sourced beans grown in Bali. 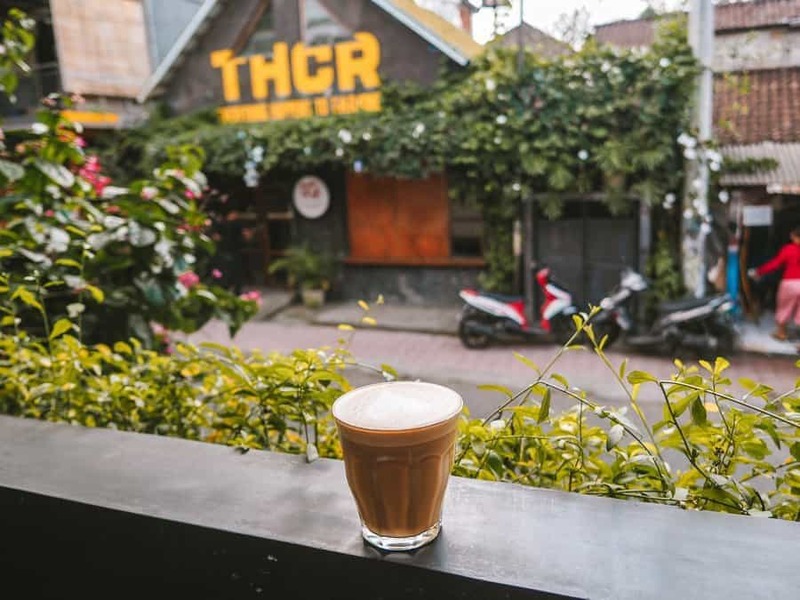 F.R.E.A.K Coffee is located in the heart of Ubud town, close to Ubud Market. 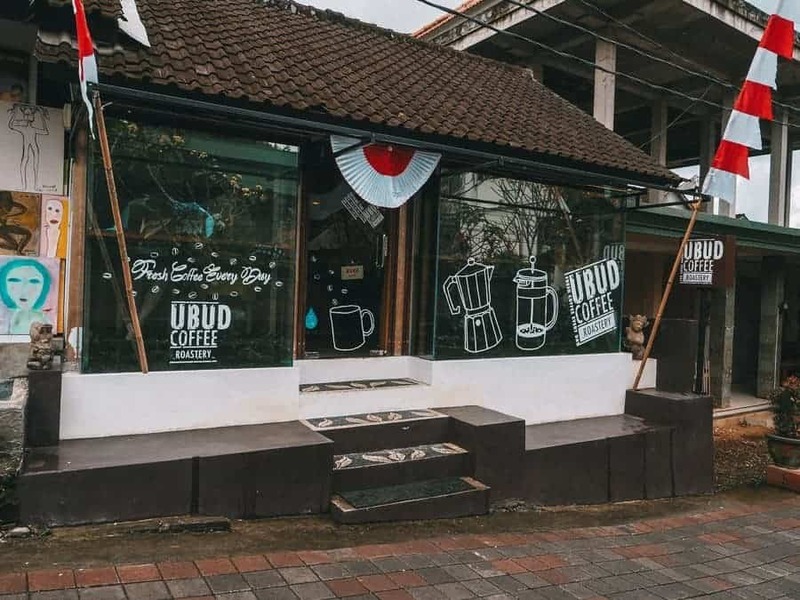 Also, a hop, skip and a jump from Ubud Market, Ubud Coffee Roastery can be found in a relatively quiet laneway, slightly away from the hustle and bustle. Habitat Café is very conveniently located near the Ubud Monkey Forest and is a great place to fill up on avocado on toast. 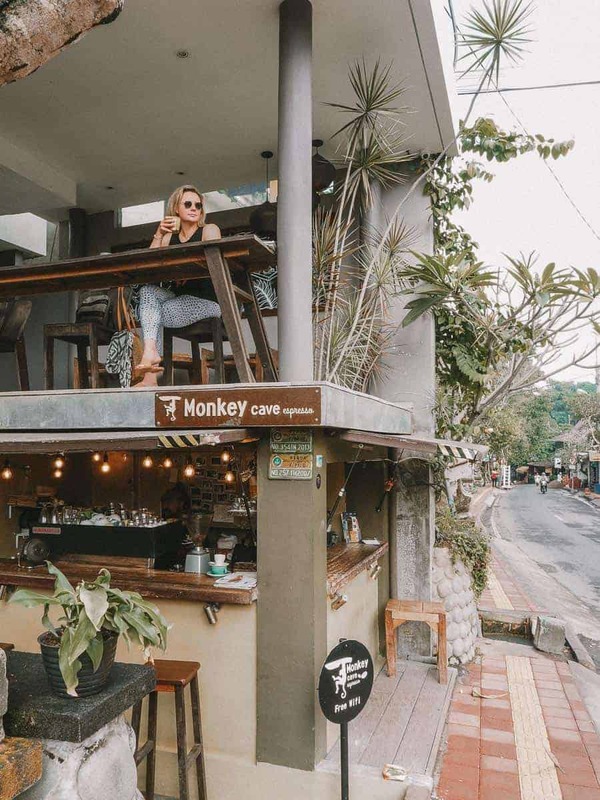 Before kicking off your Ubud sightseeing tour at the Monkey Forest, head here for the energy hit you’ll need to fend off those insatiable primates. Café Wayan, located off bustling Monkey Forest Road, is something of an institution in Ubud. Touted by many-a-tourist as one of the best places to eat in Bali. Café Wayan is a modest café in a beautiful garden setting with a good variety of Indonesian and Western food options. A short walk from the Ubud Market, Kismet Restaurant specialises in vegetarian food in a casual gypsy-style dining space. From burgers to pasta and sushi, Kismet offers vegetarian fusion cuisine. KAFE is the sister venue to the Garden Kafe at Yoga Barn and a strong contender as one of the best places to eat in Bali. While the Garden Kafe has a more relaxing garden setting, KAFE is conveniently located, close to the Ubud Market. The menu is pretty much the same at both venues – great, healthy food. Folk Pool & Gardens is more than just a place to eat. Come for lunch and spend the afternoon, lounging around the pool with a cocktail in hand. Maybe even stay for the evening poolside cinema. 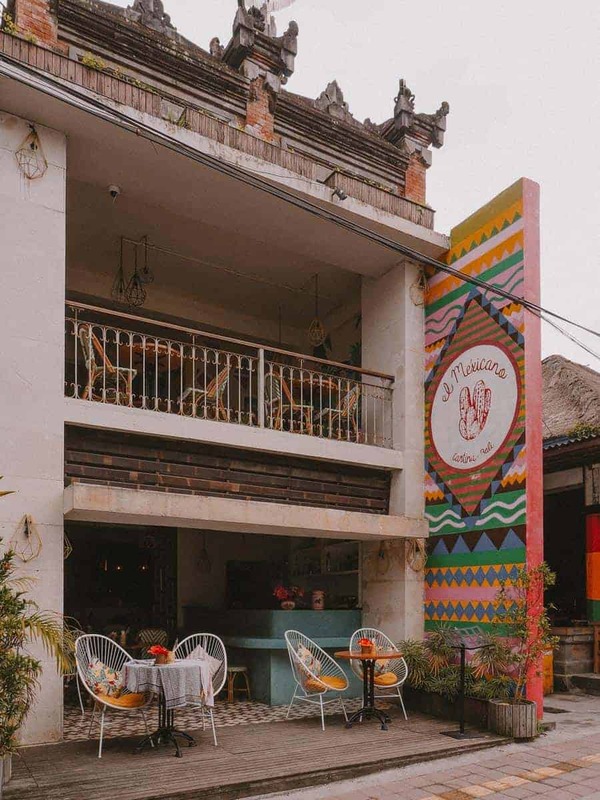 The Bali Buda Restaurant (spelt Buda, not Buddha) located in the heart of Ubud town serves freshly baked bread, healthy salads, burgers, Ayurvedic food and bullet coffee. It’s just a short walk from the bustling Ubud Market. Bali Buda caters both to vegan, vegetarians and meat-eaters. After spending a day checking out the best things to do around Ubud, why not have a meal at possibly one of the best restaurants in Bali? Head to Hujan Locale for a feast of fantastic modern Indonesian fine dining, tapas and great cocktails. Copper Kitchen & Bar is located at the luxury boutique-style Hotel Bisma Eight. Experience Ubud’s premiere rooftop dining space, with fabulous food that embodies everything the Ubud region is about. They even have their own organic rooftop garden. Headed up by a two Michelin-starred chef, Locavore Restaurant is a well-known as one of the best restaurants in Bali. At Locavore Restaurant, you’ll be taken on a culinary journey through the finest ingredients from Bali’s best regions. Locavore Restaurant is quite frequently booked out, be sure to make a reservation before you arrive in Bali. 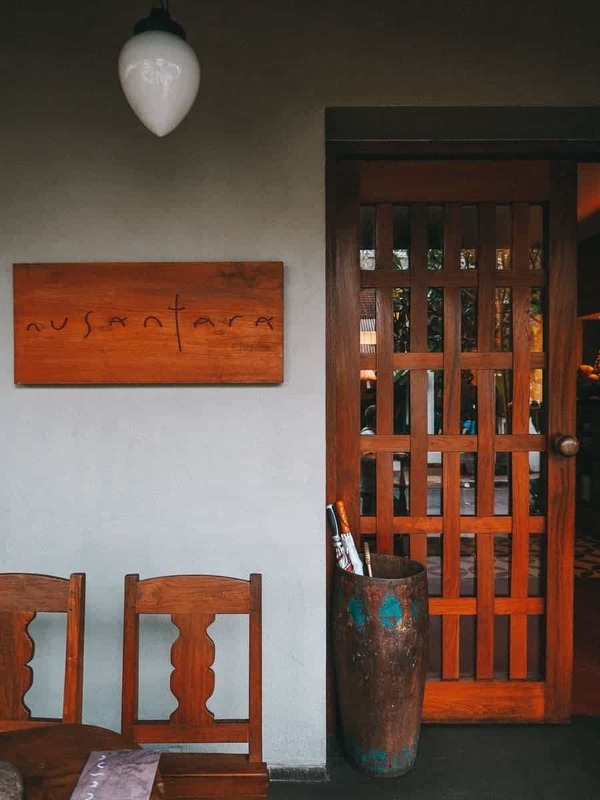 Nusantara is Locavore’s sister restaurant, offering a more casual a la carte dining style. Nusantara offers classic Indonesian style dishes made using locally and ethically sourced ingredients. 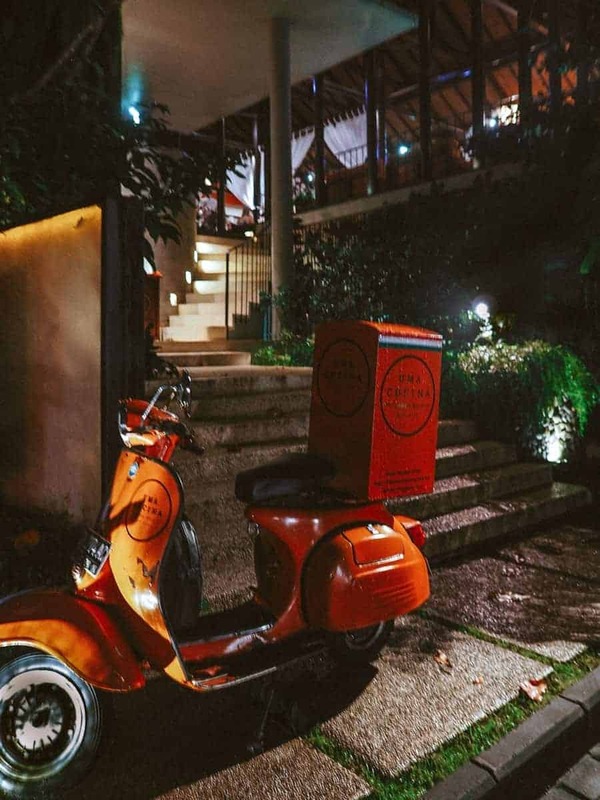 A favourite spot amongst Ubud’s resident expats, Il Giardino does excellent Italian food in a garden setting. It’s a little hard to find – down a quiet alley, just around the corner from the Ubud Market. 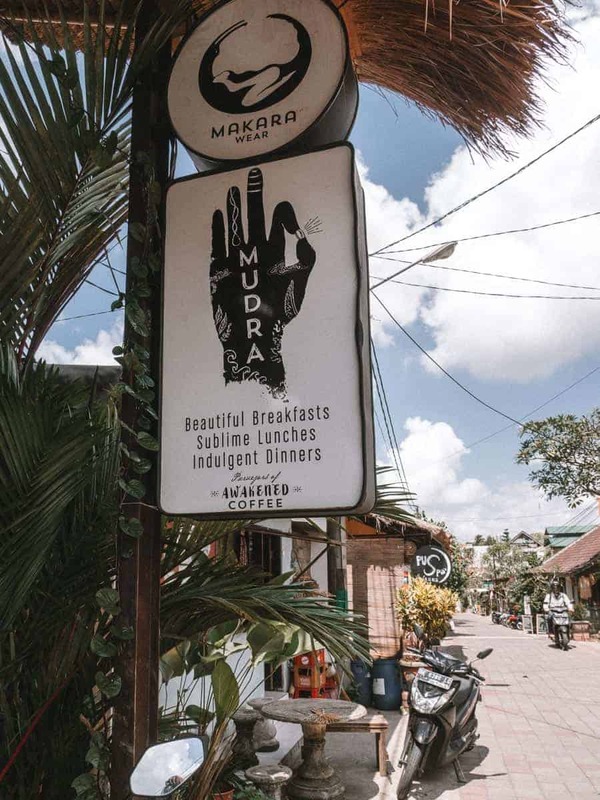 Located on the main shopping strip and very convenient if you’re looking for a great dinner place in Ubud that’s reasonably priced and close to Ubud Markets. 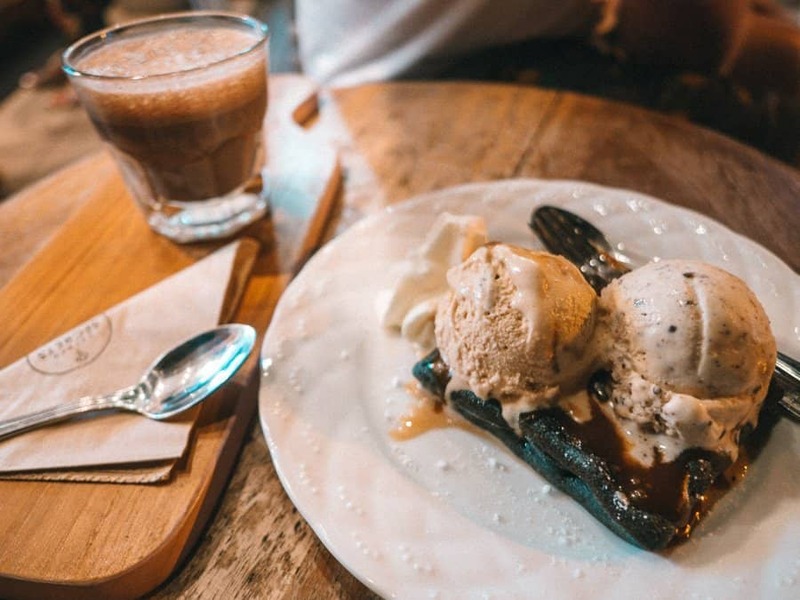 With several locations around Bali and two within walking distance from Ubud Market, Gelato Secrets does excellent gelato, waffles and hot chocolate! Intricately prepared desserts, fine wines and cocktails that are practically a dessert in themselves. 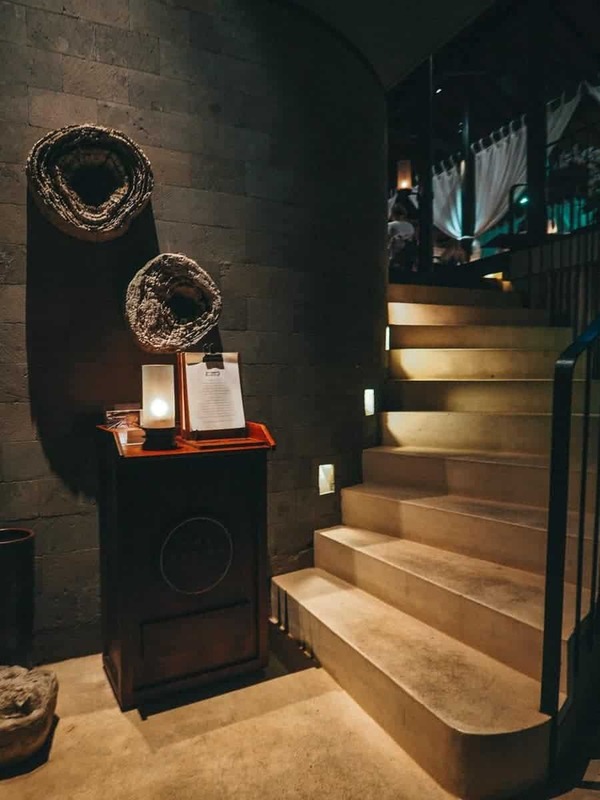 Who would have thought a venue that only does dessert and cocktails could be one of the best places to eat in Bali. Room 4 Dessert is a dining experience in its own right. High-quality Italian-style gelato parlour on the main road in Ubud town, right near Café Lotus. 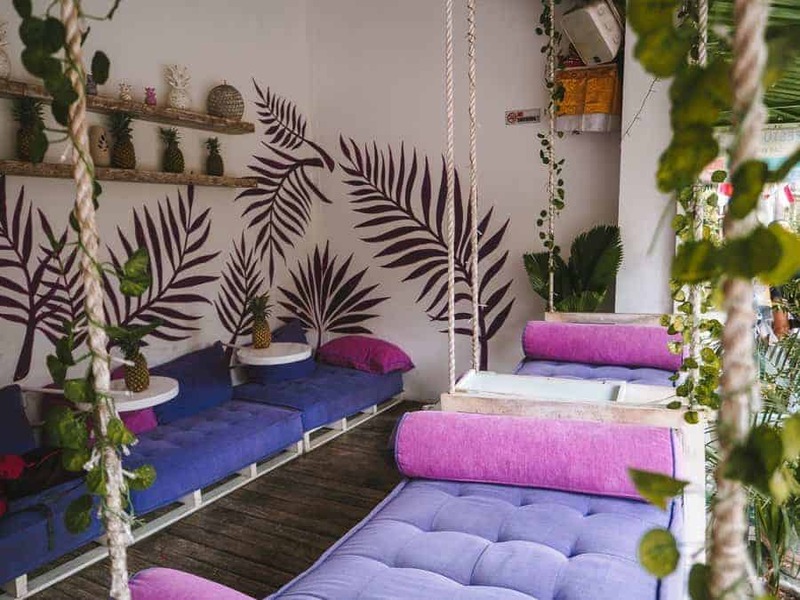 Cute little purple swing couches and delicious Acai bowls, this is a great place for a relaxing afternoon sugar hit after battling the crowds at Ubud Market. Next door to Acai Queen is Ubud Raw chocolate shop. The chocolate here is absolutely divine, but it’s so rich, you’ll only need one square to satisfy that after-dinner sweet craving. Another venue in Locavore family, The Night Rooster is a boutique cocktail bar that does exotic infusions using locally sourced ingredients. Late night eats, beer and cocktails. No Más Bar features gypsy-style décor with a selection of bands and DJs playing old school tunes. Touted as Bali’s “No beach… Beach Club”, Jungle Fish Bali is just like one of Bali’s famous beach clubs, in a jungle setting. Think infinity pool bar and restaurant with a lush jungle outlook, cocktails, pool loungers, cabanas and gluttonous food. It may not be one of the best places to eat in Bali, but it certainly has one of the best views. Moksa is a plant-based restaurant with its own permaculture garden, just outside Ubud town. They also offer culinary cooking classes using ingredients freshly picked from the surrounding gardens. 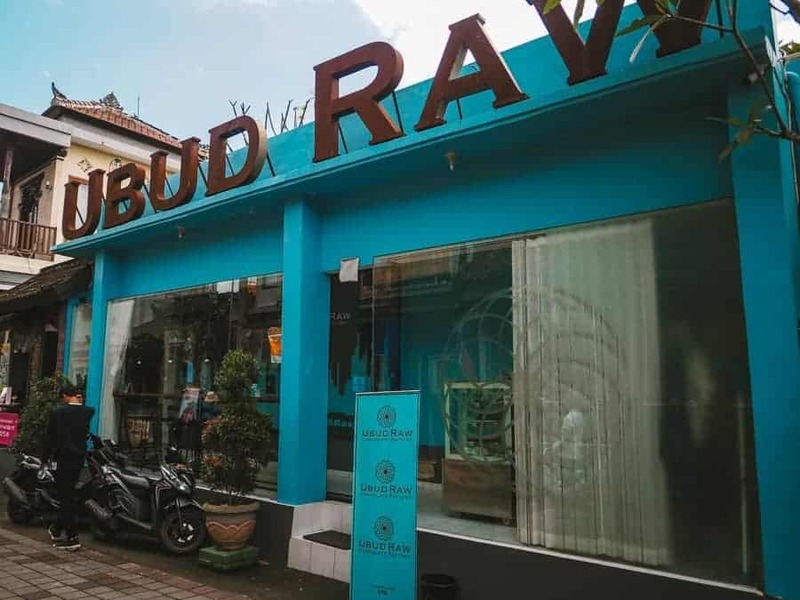 If you like raw or vegan food, then put this on your must-visit list as one of the best places to eat in Bali. Well worth the 20-minute walk through stunning rice terraces. Sari Organik is a popular but relaxing spot amongst visitors. The pathway to Sari Organik can be difficult to locate. It’s just off Jalan Raya Ubud, across from Lazy Cats Café. If you get lost trying to find Sari Organik just ask one of the locals in Ubud for directions, you’ll be hard-pressed to find a local that hasn’t heard of it. With a breathtaking view of the Tjampuhan ridge, Indus Restaurant Ubud offers the best view of any restaurant in Bali. Indus Restaurant serves traditional Balinese style cuisine in a Mediterranean-style setting. 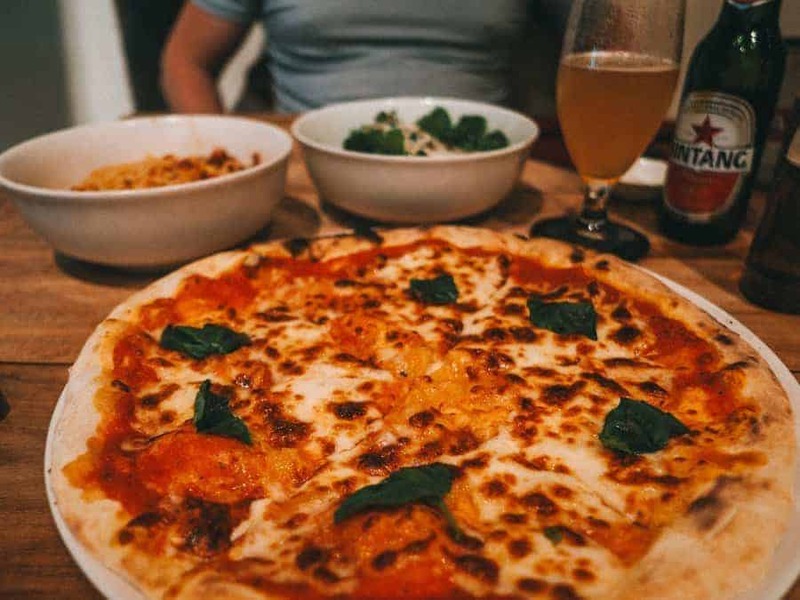 If you’re looking for cheap pizza in Ubud, then look no further. With ice cold Bintangs and $4 large pizzas, it’s no wonder there’s a constant line-up out the front of Umah Pizza. Well worth the wait. 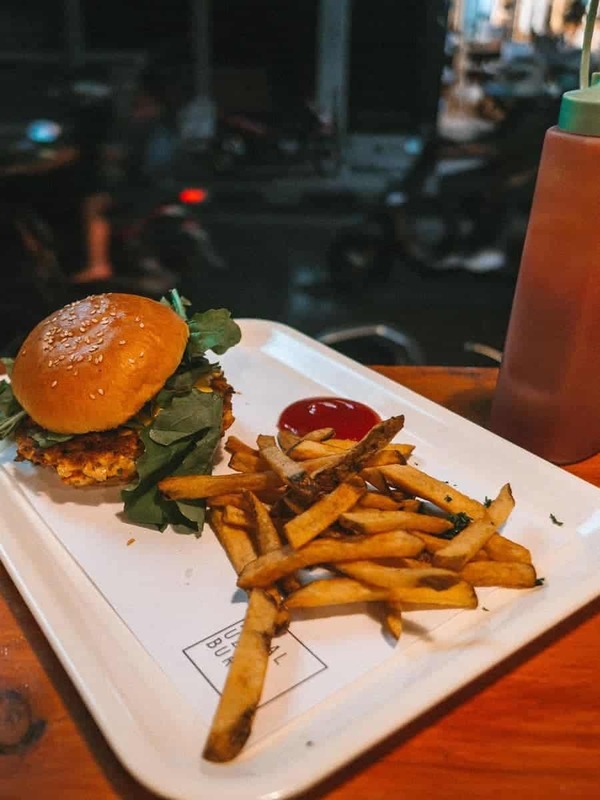 Not only is this one of the best cheap places to eat in town but they also serve possibly the best burger in Ubud! Eating vegan in Bali is very easy. Tasty vegan and vegetarian-friendly restaurants are a dime-a-dozen in Bali, and the Balinese know how to do vegan food really well. 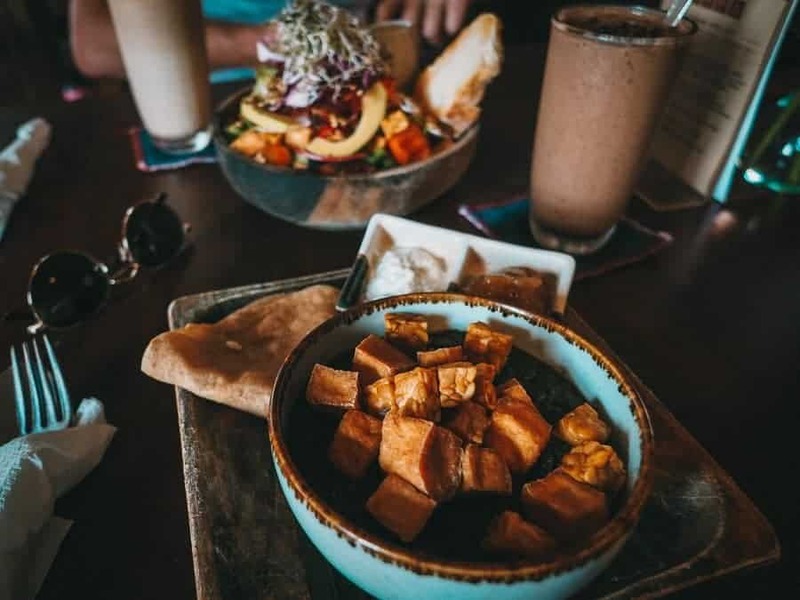 The majority of the cafes and restaurants in this guide offer vegan and vegetarian options, here is our pick of the best vegan/ vegetarian-friendly cafes in Ubud. 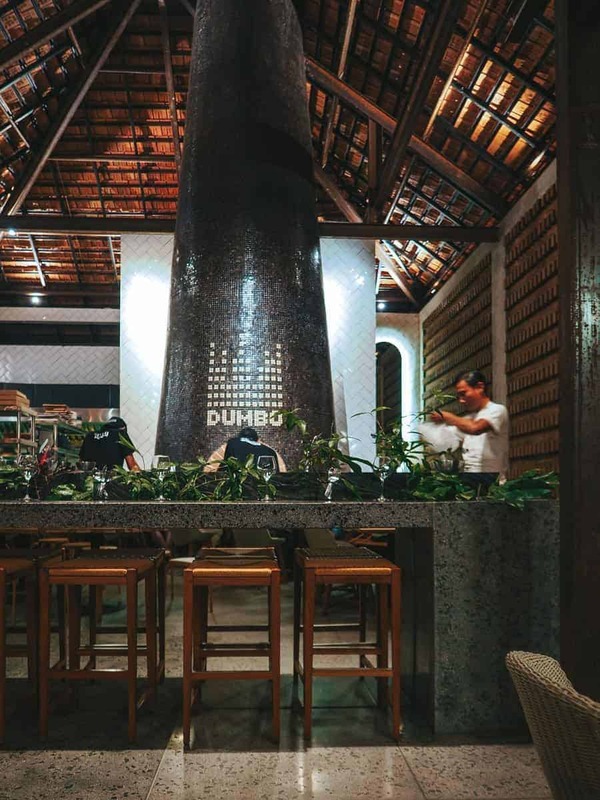 Owned by the same mob as DUMBO, a new favourite that topped our list of the best restaurants in Bali, The Elephant Restaurant serves up some of the best casual and healthy vegetarian food in Ubud with a view over the Tjampuhan ridge. La Pacha Mama is a plant-based Mexican Cocina and Cevicheria. Go for the El Taco Grande and you won’t leave hungry. A great place to get your smoothie bowl hit. Mudra Café is only small, catering to 15 people at a time. We had to come back a few times because it was full, so be sure to get there early before the crowds. Here you’ll find everything coconut related – coconut ice-cream, coconut butter, coconut chips, coconut water and whole young green coconuts. Tukies has several venues within walking distance from the Ubud Market. Bali’s iconic Indonesian Warung that seems to go off every evening with the scent of Barbequed meat wafting into the streets. You’ll just have to try it to find out why Nuri’s is touted as the best Warung restaurant in Ubud, or possibly in Bali. Located very close to the Ubud Market, Warung Biah Biah is nearly always full and serves excellent, cheap Balinese food. 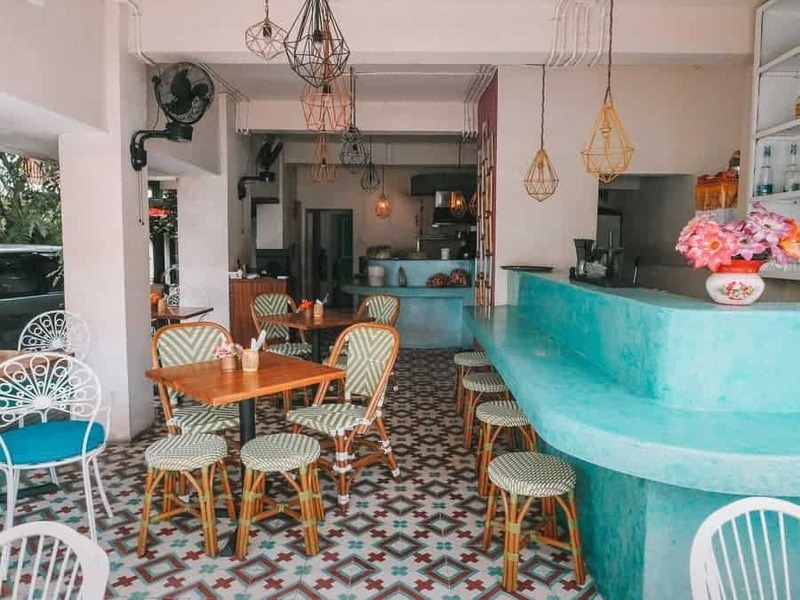 Slightly out of the way, but worth the going the extra mile for, is Dayu’s Warung. Offering delicious, healthy Indonesian food, raw treats and home-made goodies. Can you recommend any other great foodie spots in Ubud that I missed? Let our readers know about them in the comments below. Siboghana – the most authentic and delicious place I have eaten in Bali! Hi Rose, thanks for sharing! I haven’t heard of Siboghana, but I’ll be sure to check it out next time I visit.